I went to the UK Filk Convention in Colchester early Feb and had no plans to play a set, but Songbird had to cancel her slot so I did one with the minimum of thought and with some hasty strumthrus. I realised I hadn't played a solo songs set since June/July? I was pleased to play Astronauts this year as I chickened out of it last year as it was so new. I tried a new silly-ish song Parts Of You. I also sang some songs I've never sung live in the filk circles - Jazz Potato, The Violet And The Rose, & Time Circle Dance. So I had quite a chilled convention and it hopefully will kick me into getting some slots and gigs. Apart from that I've been chugging along with the things I started in January (see last entry). After my brother Jules passed away at the end of November a lot of things like this blog stopped. I kind of slogged my way through December's gigs and limped to the end of the year. January was been about starting things and trying to get my mojo back for doing things. Partially successful but was still largely foggy headed and unfocused. I forgot all about one posh piano gig, then late I dashed to it only for my car tyre to blowout at speed. I changed the tyre in my suit & white tie, but the gig was gone. Ambient Underground 12 went musically very well - Audible Light & guests LION/s - and we actually got a reasonable audience, and recordings were taken. I was tired though and still not quite on it. But it was still January wasn't it so no worries. 1. I wrote a couple of songs. 3. I started recordding my first wafty/relaxation/new age album in years and have been chipping away at it. 4. I am part of a group of electronicists perfoeming Terry Riley's iconic minimal classic "In C" in Rugely on March 2nd - so I;ve needed to rehearse that and work hard remembering the 53 motifs enough to spot them from the music. Last of the 3 posh gigs on our mini-tour. Again nice dressingroom and we were fed a main course and desert. G's folks live in Sheffield so they came, as did she. Like at The Stables, not a huge crowd on a rainy Wednesday but enough to be OK and we had a good time playing there. It was a long day driving up to arrive at 4pm for an 8pm start, and getting home and unpacked at 1am. A sold out gig in our home town in the historic Guildhall - a bit chilly in winter these Tudor built places. Andy G played a fab solo set, then Sally did hers, with Dan & I joining on 1 song. Then Dan & I did our 30mins before Sally joined us for 3 songs.Great crowd response! That was a special one. Within Temptation in Brum & London Family Gathering & Riverside. Within Temptation - O2 Academy. Riverside - Electric Ballroom, Camden. This was a great concert from this Polish prog-ish band - not too loud and a band that really connected to the audience and great at changing dynamics and slow builds. Their guitarist died earlier in the year and they have a guest doing his parts onstage - but that loss has clearly touched the crowd and galvanised the band to make a great album. Then back to my brother's to sleep on their couch. Funny being in East Finchley - I;d not really walked it;s streets since mom had a sheltered flat there many years ago. I;ve always wanted to play at The Stables, near Milton Keynes - a lovely music theatre built by jazz musicians Cleo Lane & Johnny Dankworth. I;ve seen so many acts here - Jefferson Starship, Focus, Jan Akkerman, The Magnets, Fascinating Aida, & Ronnie Spector. So we got a great soundcheck, swanky backstage dressing rooms, and we were brought dinner there. The crowd was not huge for a rainy Tuesday but enough and keen enough to make it OK. Sally sang her set, we joined her for 2 songs, then Dan & I (& Neil Rabjohn) played our 30mins and Sally joined us for4 songs to finish. We sold quite a few CDs which was nice. So an ambition acheived - I can't think of many more places I'm super-keen to play at. 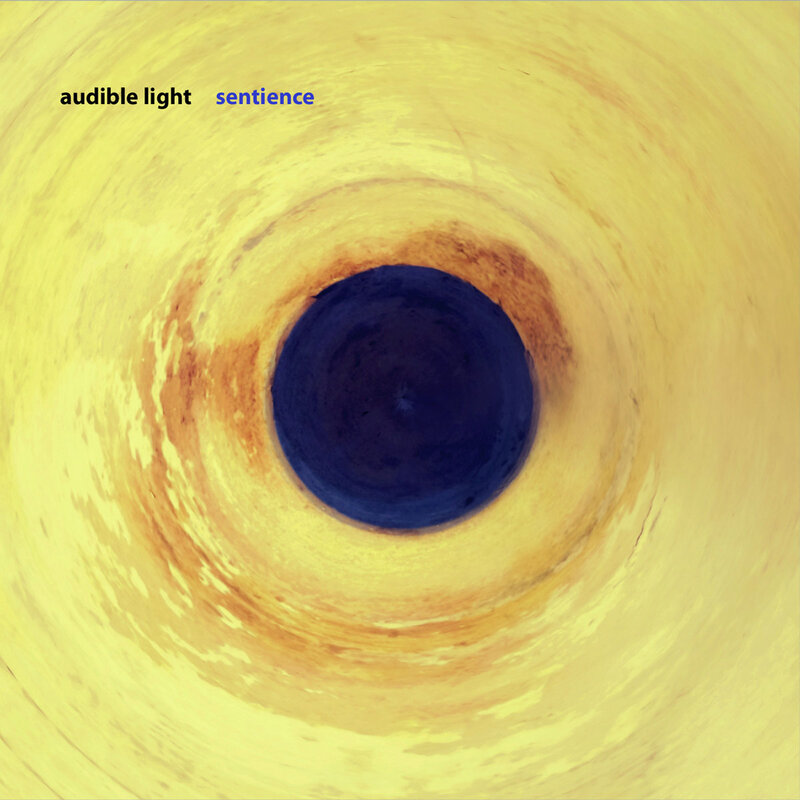 Audible Light's 7th album taken from live recordings at Ambient Underground events. I love making music with this group - it just kind of happens in an understated way. 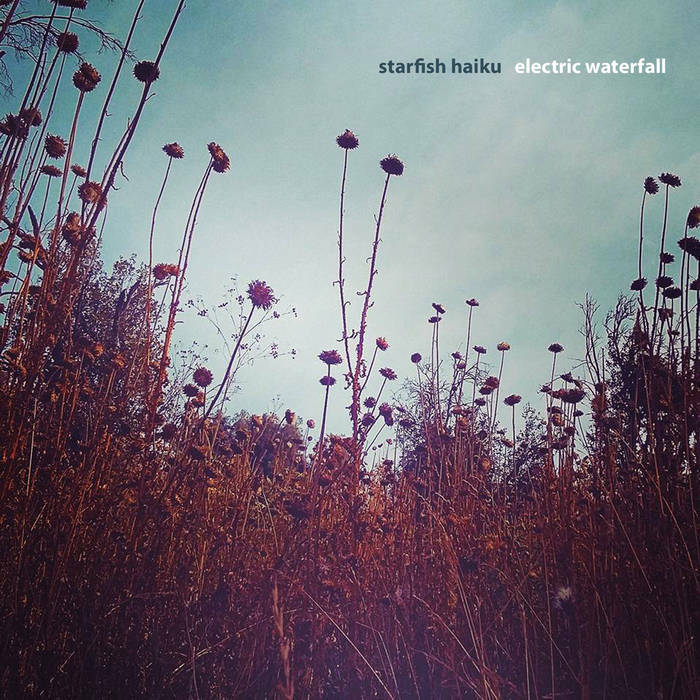 Starfish Haiku - "Electric Waterfall"
Ambient world music quartet with hang player Carise Zangerle Murray, myself on keyboards, theremin & flutes, Jim Tetlow on keyboards, & Ludwik Szczylik on crystal singing bowls, didgeridoo, gong, percussion. Twas a lovely jam one afternoon. Sib was in London so we arranged to meet up. We had some cool plans to cross under and high over the Thames but the persistent drizzly weather led us to improvise our day. After lunch we strolled on to the National Gallery - I had recent;y been but just for a 30min dash around before closing so it was cool to go again. We wandered through comparing various likes and otherwise. Then I left Sib in theatreland and headed back to my train. It was fun just ambling and talking without devices - alas I did much of the talking as there was a lot going on with me lately and Sib listened like the good friend she is. That was a really special split-gig with Ruth Notman at the lovely Alstonfield Villlage Hall. 1. Ruth - such a voice! - was great fun to hang out with too. 2. Organisers fed us at their home. 3. A great team did sound & front of house. 4. We did a 35min set and later jammed 3 songs with Ruth which went really well. 6. The soundman unprompted gave me £20 and asked me to send him 2 of my electronic ambient albums. 7. We sold 9 CDs! 8. My voice - post-bug & tired from previous night’s gig - held OK.
We resolved to try and do some more gigs with Ruth next year. It was in my diary for months to loan my theremin amp to a thereminist playing at the Leicester International Music Festival at the museum. I got a few surprises. 1. I got an early morning call the day before the day i expected to loan the amp saying could I bring the amp in 30 mins to the museum for the rehearsals. 2. the thereminist in question was Lydia Kavina - inventor Leon Theremin's great niece and his last pupil who I;ve met at several theremin gatherings. I took my amp to the museum, but then there was quite a bit of hanging around waiting to either retrieve it or see it placed in a safe place. In the evening I took Lydia on a walk to show her the town and drop her at her meal with the other musicians. Next day I dropped the amp back at the museum and in the evening attended the concert with my classical music fan chum Simon, which was nice. The theremin & string quartet piece by Martinu was the standout piece. It was a strange couple of days, but nice to see and hear Lydia again. The quarterly/thirdly Ambient Underground met at The Cookie, Leicester for the 11th time. A little different this time as liquid lightshow maestro Lumiere Ogbange had to cancel. I was a little tired after recent exploits but was up for it once I was in and set up. Approaching Infinity duo Alan Freeman & Jim Tetlow did a nice ambient 1st set. Audible Light did a short set which was a gem, then we all played together for the 2nd set. Audience-wise it was much the same as usual - ie about 10-15. The music was good, though I could feel my brain was not so sharp in the 2nd set. But I was glad we had done this once again as Audible Light is my favourite kind of music making at the moment, and I do enjoy listening to our recordings. Today’s culture trip was a 3 part adventure. 1 - The London Design Biennale. An international expo of design installations, each country getting a room. The room with scratch & sniff wallpaper was odd. 3. National Gallery. I can’t remember when I was last here - decades ago I think. Walked about 8 miles a day these last 2 days. Yay. This was the David Crosby gig I always wanted to see - I'd seen him with Nash, and also as CSN but I;d never seen him with his own band, which tonight was his CPR band Crosby Pevar Raymond plus others. A fun set of old Croz, CPR album songs, cool new arrangements & yummy chords. Only 1 from the new album. Jeff Pevar is such an AMAZING lead guitarist! - a real scene stealer. Ran into Leicester legend Kevin Hewick before and afterwards so it was nice to compare notes afterwards. This festival moved from the Isle Of Wight to Surrey with a couple of months to go. We made the journey super early as we were on first at noon. First impressions, a lovely festival at a cricket ground owned by the drummer from The Faces, Kenny Jones. I don't play many festivals so there's always a feeling of excitement/nerves in advance. It was evident that all the crew we met seemed to have very heavy hangovers, but soundcheck went smoothly. It became evident pretty soon that the change of venue and publicity issues had affected turnout quite a bit. We played our set to a small but appreciative audience, waked around for a bit, sold a few of CDs, then headed home. Hopefully things will go better for them next year as it was a great venue. Memory Wire new album Field Of Vision - our 10th in 8 years - is released. Jim Tetlow & I recorded such a cool 30minute improvised piece in concert at Church Of Sound, Nottingham a couple of months ago. So we reconvened in my Aloft Studio and recorded live another piec of a similar length. Our only discussion had been - lets record something that would fit with the other one. And it kind of did, but had a more relaxed vibe being in the studio. So it all came together very quickly and we are very pleased with it. It pools a lot of our different styles from the cosmic to the minimal and also moves things forward. The new Govannen album As I Roved Out - our 9th in 13 years - is released! Mantras - new chants album. I recently finished the 2nd album of chants with Ajahn Achalo, the Buddhist monk in Thailand. He asked me to set music to 2 chants which I finished a few months ago and were quite rhythmic. I asked him whether he would send over 2 more chants that would suit a more ambient accompaniment to balance the other 2 tracks but also to make the recordings into an album length, (as I like albums :-)). This he did and I added some ambient music to them and he made some suggestions which I acted on and it was done. You can hear it online here. Plus it's on Spotify and such now. A funny thing happened after it was done. I had always assumed he was in a big monastery in Bangkok. But he corrected me - he is in a small remote monastery in the hills 5 hours drive north of Bangkok with just 8 others. He sent me photos. So it's nice to imagine he has been recording his chants in such a place. He just contacted me to say the new chants have gone down very well with his students and online in his meditation pages. As I have been working hard, with lots of gigs many hours in the studio finishing the Govannen album, and as I have 4 gigs in 3 days starting tomorrow it was suggested that I take today off. Well I didn't quite do that but it set up a mindset, and somehow small magical things happened through the day. 1. In the morning I was totally sucked into listening to Karlheinz Stockhausen's Düfte-Zeichen - sometimes I listen to it for the sound, and sometimes it;s too much, but this time I got sucked into the story - a strange ritual with scents - and followed the lyrics in the liner notes - the weather was strange too - a change - will it/wont it rain - which added to it. I was also reading Ray Bradbury's From The Dust Returned, which has fun otherworldly atmosphere. It made me think I should go back to thinking of making the trip to Amsterdam next June forAuslicht - a 3 day concert series of concert forms of excerpts of all 7 of Stockhausen Licht operas - so I started to vaguely look at travel plans - it would be an adventure for sure! 2. I worked - I uploaded the new Govannen album As I Roved Out to Bandcamp - tho didn't make it live - but I listened as I uploaded and wrote some credit notes for the album and realise it was pretty good and that i had done a very good job. Such realisations, when they happen usually take months. 4. I remembered the day off plan - so I strolled in the nearly rain to the Antiques Warehouse and I saw this old tinted postcard of "Chavita" - I was initially amused by the name ( like a little chav :-)) But I wondered who she had been, so I Wiki'd her - Luz Chavita was a Spanish dancer in Paris in thr late 1890s and retired in 1905. I thought how amused she would be that her publicity postcard had turned up in a Leicester Antiques Warehouse 113 years after she retired. On the back was a short letter to someone in France. I caught a snapshot of a life and a moment in time. 5. On the way home I was caught in a little rain - very little as it turned out but after s long with none it felt strange and the air unsettled. On the lawn I noticed leaves were already on the ground - autumn on the 8th of August? 6. I tried to see the film Karwaan at the Bollywood cinema but they only show films if at least 3 want to see it and there was only me. So I strolled a little down the very Indian street. On trip to see it later at the Odeon at 9pm my car CD player would not eject the CD and it seemed to have died. I resigned myself that I would need to get a replacement very soon as I have some long trips ahead. 7. I saw Karwaan as I promised myself - just 6 of us in the Odeon cinema - it;s near the end of it's run. What a strange, low key, offbeat film. Nice though. A man whose father dies is sent the wrong body. The film is a road movie to swap the bodies with the lady who got his dad’s body - with lots of detours with his fiend and the lady’s teenage daughter. Quiet, wistful, and some funny moments - not as lively as the trailer suggested. But the wistful, thoughtful nature, and it;s eccentricity really fitted in my day. 8. After the film - when I got home I decided to try and pry out the CD from the jammed car CD player. After several attempts using 2 credit-like cards - SUCCESS! - and then SURPRISE!. It turns out that the CD I put in the player had always been 2 CDs stuck together! So out came 2 identical discs! With nothing to lose I put one of them into the CD player - it played fine, and ejected fine. No new CD player required after all! After all this my heart is FULL and my brain is BUZZING with the music, journey thoughts, achievement, a Belle Époque Spanish dancer, strange weather, autumnal thoughts, an Indian street, the strange Indian film of self discovery, and my triumph with the car CD player and the unlikely outcome of the 1 CD that was 2.